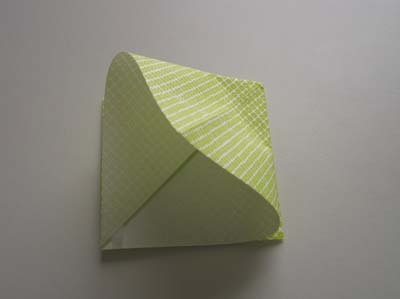 The origami square base is a starting point for many neat origami pieces, such as origami frog, ninja star and the origami star box. 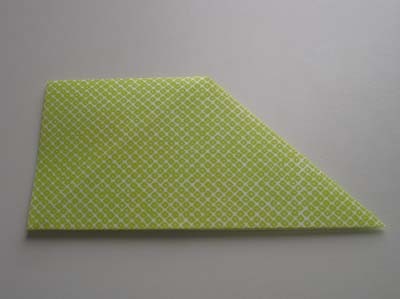 A square base is sometimes referred to as a "preliminary" base or preliminary fold. It is simple to learn and to make. 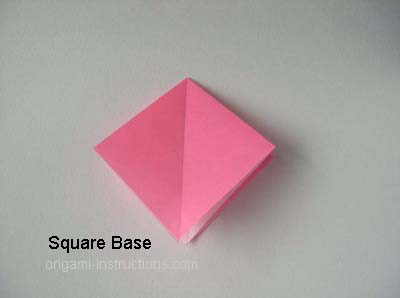 You can fold the origami square base by either following the video or photos and instructions below. 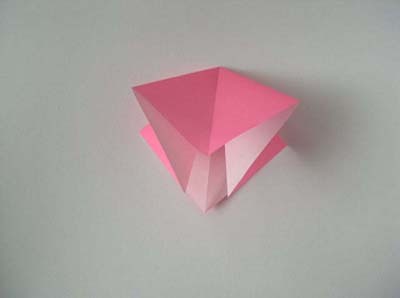 Start with a square piece of origami paper. 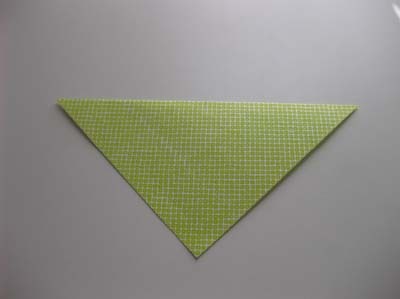 Fold it on the diagonals, as well as on the North-South and East-West lines, as shown below. 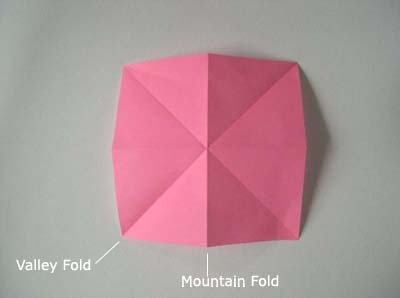 Note that the type of fold is important. Crease well. 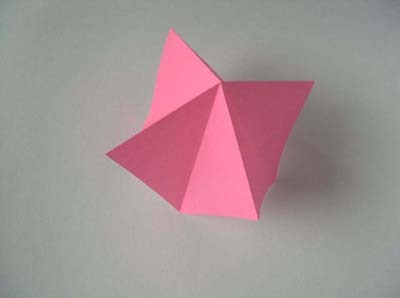 Place the colored side of the paper upwards, then fold the diagonals as valley folds, and the N-S and E-W folds as mountain folds. See picture below. 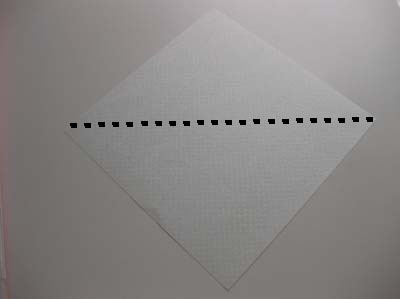 Now it will be very easy to simply collapse the piece of paper along the fold lines. 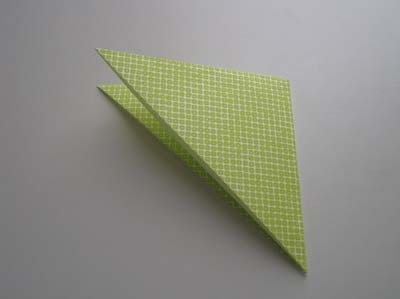 It will collapse right into a square folded piece of paper. This is your square base! 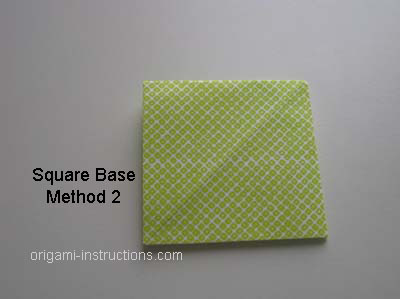 There is actually another way to make the square base though the above method is the official and traditional way. Anyway, here is method 2 to make the square base. 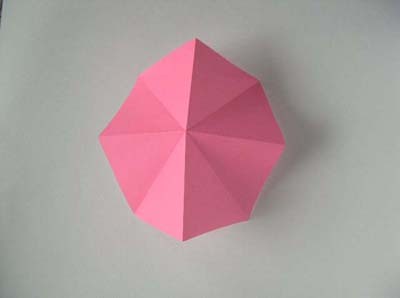 Origami Square Base Method 2 Step 1: Start with a piece of square origami paper color side down. Fold it on the diagonal as shown in the dash line below. Crease well. 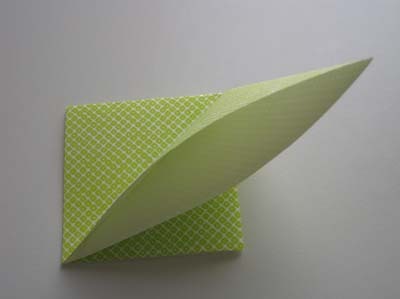 Origami Square Base Method 2 Step 2: Now fold the paper into two on the dash line as shown. Crease well. 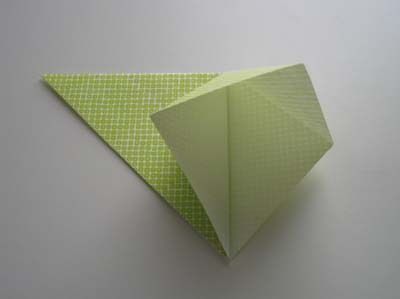 Origami Square Base Method 2 Step 3: Bring the top flap over to the right and open the paper slightly. We'll now make a squash fold by...squashing down the paper! Origami Square Base Method 2 Step 4: FLIP paper over. Origami Square Base Method 2 Step 5: Now bring the flap from right to left. 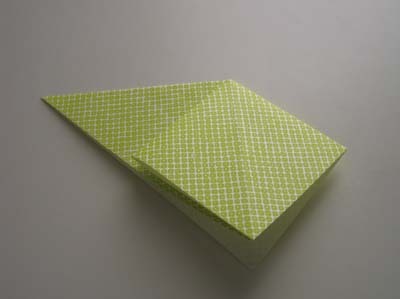 Open up the flap and make a squash fold.